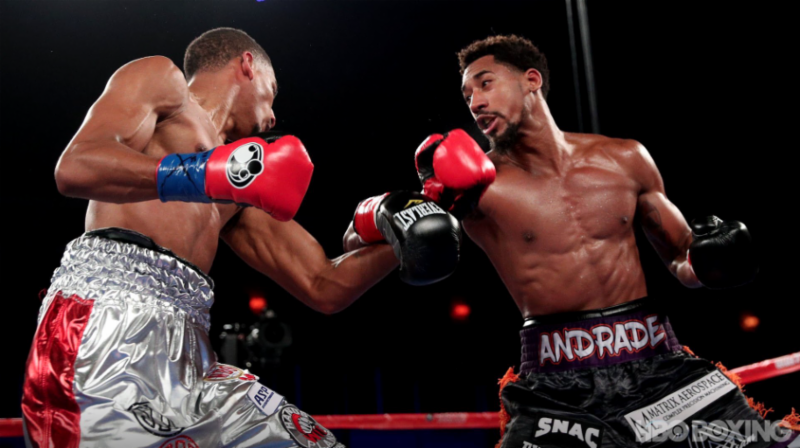 Last night at Turning Stone Resort and Casino, in Verona New York, undefeated two time Jr. Middleweight World Champion, Demetrius “Boo Boo” Andrade (Providence, RI, 25-0 16KO’s), made a successful debut in the Middleweight division by dominating previously unbeaten Alantez “Slyaza” Fox (Forestville, MD, 23-1-1 11KO’s) over 12 rounds of action. All three judges had Andrade ahead by scores of 118-110, 118-109, and 116-111. Andrade captured the vacant ABO Middleweight title. The bout was seen live on the popular HBO Boxing After Dark series. Never miss another punch, follow our social media to get updates on event dates and ticket information.